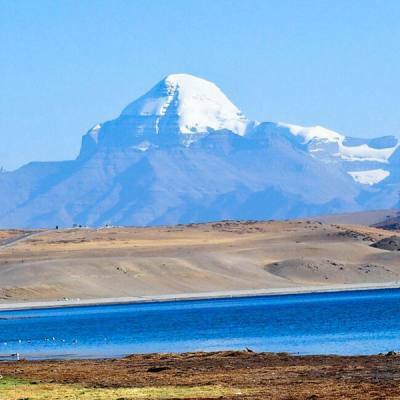 Experience Tibet a journey into beautiful high country of Tibet, leads you to an adventure of a lifetime experience on worlds largest and highest table-land or a plateau overlooking fantastic views of Tibetan wild and scenic landscapes with ever present high snowcapped mountains. Certainly a fabulous trip within windswept country of dry and arid terrain and yet fascinating and scenic part of this planet, an adventure in the harmony of local impressive culture interwoven with Buddhism where this exciting tour leads you around famous cities of Tibet. Starting with panoramic flight from the capital Kathmandu flying high over Himalayan peaks with Mt. Everest in view and then landing at Tibetan soil near Lhasa, where tour takes you to interesting sites of Drefung-Shera-Jhorkang and Barkhor square teemed with colorful markets and busy life of the Tibetans. 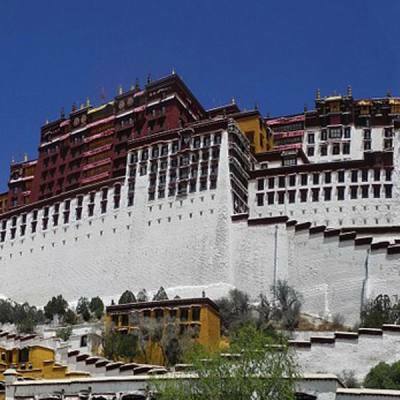 Tour takes you inside famous landmark of Tibet at Potala Palace known as Heavenly Realm a magnificent building once a palace of many Dalai Lama to the last XIV Dalai Lama, in Lhasa with pleasant and impressive tour of great interest. From Lhasa our next adventure leads to another famed city of Shigatse treasures beautiful Tashilumpo Monastery with golden roofed and visiting its interesting market as our journey continues crossing a high Gyatsho-La above 5,220 m high and Pang-la pass 5,200 m with panorama of world highest peaks. The last end of the adventure takes you to Everest base camp for closet views of towering Mt. Everest with visit of old Rongbuk Monastery, and then heading south of Tibet to reach at Nepal side and then back at Kathmandu after a marvelous time on Experience Tibet. 1 Day 1: Arrival in Kathmandu and transfer to hotels.On reaching Kathmandu Tribhuwan International Airport where you will be warmly received by our guide and staff and then transfer you to your respective hotels in the hub of Kathmandu city. First check into your hotel rooms on getting refreshed from the flight and with Jet-Lag, then join with other members of Experience Tibet for group briefing, where our expert guides will inform regarding your stay in Nepal, hotels, trekking, local lodge and overland drives with do’s and don’ts information, evening welcome group dinner in authentic Nepalese restaurants with Folk cultural programs to entertain you during your meals. 2 Day 2: In Kathmandu with sightseeing tour around world heritage sites.Morning after breakfast leave the hotel for exciting guided sightseeing around Kathmandu where our city guide will lead you to places of interest, Kathmandu a metropolitan city still retaining its ancient heritage and varied ancient culture where you will visit world heritage sites around Kathmandu for half day. After an interesting and wonderful tour of ancient historical and religious sites around Kathmandu, with afternoon free preparation for next day journey to Tibet. 3 Day 3: Fly to Lhasa -Tibet 3,660 m and transfer to hotel in LhasaMorning as per flight to Lhasa, transfer to Kathmandu international airport for scenic flight of one hour to reach Gongar airport in Tibet. During flight views of Himalayan range of peaks with Mt. Everest and Mt. Makalu at mere distance from the window seat of the plane, on landing entering into a terminal completing all visa and passport formalities. At Gongar airport our Tibetan guide and driver receives you for an hour drive to Lhasa city, a mixed city of urban modernization with old section of Lhasa, where Tibetans still retains their heritage and Buddhist culture as it was for hundred of centuries. In Lhasa our hotel in the old part east side of the city near busy and interesting Barkhor Market Square, with time to enjoy walking around before dinner time on first day in Tibet. 4 Day 4: In Lhasa with sightseeing tour at places of great interest.These two days engrossed with ever exciting tour around Lhasa important places of immense interest within its historical and religious sites, beginning with short drive west of Lhasa towards a hill top with tour of old Drefung Monastery, in the early day home of all high priest and Dalia Lamas before Potala Palace was built. Here visit the main prayer halls with monks on deep prayers where Drefung means a heap of rice with its white washed buildings as it looks from distance views, after a great interesting visit drive to Shera Monastery where you can witness young monks on exciting debate, which deepens their knowledge of all types to reach their priesthood. Shera monastery located north of Lhasa after an interesting time with lunch break in local Tibetan / Chinese restaurants, afternoon tour of magnificent Potala Palace known as 'Heavenly Realm' with 1,000 rooms where visitors can tour only the main important interior of 8 to 10 rooms of great significant. Potala Palace stands as Landmark of Tibet situated in the hub of the city, where high and superior priests Dalai Lama lived till the last 14th Dalai Lama, at present turn into a museum. After a grand tour head back into busy and colorful Barkhor Market Square with time to visit Jhorkhang Temple, the oldest religious sites of Tibet. As the day end in Lhasa, with time for individual activities around Lhasa before dinner time on last day in Lhasa. 6 Day 6: Drive to Shigatse 3,900 m via Gyantse 3,950 m - 06 hrs.Morning drive on the suburb of the city heading towards south within vast Tibetan plateau, as journey continues crossing Yarlung Tsangpo River or Bhrmaputra rivers then towards zig-zag climb on winding road towards scenic Khamba-la pass at 4,800 m high. From the pass views of Tibetan landscapes and of distant snow capped peaks with Turquoise Lake of Yamdrok Tsho. Drive towards Turquoise Lake at Yamdrok Tsho and then reaching Nagarktse for possible lunch stop in a local Tibetan restaurant, journey continues heading over Karo-La pass at 5,050 m high with grand views of Nzonkhangsa peak and its glaciers which flows near to the road. From here with exciting views heading over Simi-la pass and the towards Gyantse city with tour of Pholkar monastery and beautiful Kumbum terracotta pagoda stupa, from here a few hour drive brings you at Tibet's second largest city in Shigatse (Xigatse). Here transfer into a nice modern hotel with great facilities within the city area and time for short walks around the street and shops of Shigatse. 7 Day 7: Morning tour of Tashilumpo Monastery, drive to Rongbuk 4,980m via Shegar -06 hrs.Morning our Tibetan guide leads you to visit the great Tasilumpo Monastery adorned with golden roof top, a magnificent complex which is the seat of many Panchen Lama, classed as second head of state after Dalai Lama, here visiting many chambers and halls with tall bronze statue of future Buddha (Matriya) at 21 meters, time permitting visit the local market. Drive continues heading south east direction into great scenic and arid Tibetan plateau past rural villages, towns and farm land to reach at Larze, on the junction of Lhasa-Kathmandu and Kailash highway. From here drive leads uphill to cross the highest pass of the journey over 5,220 m at Gyatchu - La pass festooned with prayer flags and offering, after a brief stop for views heading downhill to Shegar town also known a New Tingri. A windswept town located on Nepal-Tibet / China Friendship Highway, our adventure carries on heading past the main highway towards a high Pang-la pass at 5,200 m high with sweeping panorama of world's highest mountains from Everest, Lhotse, Makalu, Cho-Oyu to Shisapangma with array of peaks. After a great view heading down to the farm village of Tashi Dzong as the drive leads further towards our destination at Rongbuk Monastery with superb views of towering Mt. Everest North Face. In Rongbuk visit its main chapel of Sakyamuni Buddha with other great statue of Buddhist saints with overnight in a local lodge / guest house of simple and basic facilities. 8 Day 8: Explore Everest Base Camp 5,200 m and drive to Old Tingri 4,350 m - 04 hrs.Drive to Everest base Camp, limited up to Rongbuk, allowing only few vehicles for elderly people, here one can take a horse cart or taxi on motorbike to reach base camp, or hike of few hours heading towards dunes and moraine crossing few icy stream to land at world's highest Mt. Everest Base Camp, where Tibetan calls as Chomolungma means great Mother. Enjoy the views of towering North Face of Mt. Everest with other adjoining peaks and then head back to Rongbuk for the drive to Old Tingri on the same scenic route and joining the main highway near Shegar to Old Tingri for overnight stop in local Guest House and Lodge. 9 Day 9: Drive to Kyirong 2,890 m (Kyidrong / Dzonga) County camp or in local Guesthouse.A long drive today to reach at Kyirong frontier town, journey leads past great Tibetan dry plateau taking a newly opened route of five hours overland drive to reach the border town of Tibet-China and Nepal at Kyirong for last overnight stop in Tibet. 10 Day 10: Drive to Dhunche town 1,900 m - 05 hrs.Farewell to our Tibetan guides and drivers as morning starts leaving Tibet with short drive to the border post of Nepal and Tibet / China at Rasuwa-Gadhi, here on completing visa and custom formalities then enter into Nepal border at Rasuwa Gadhi, here again following and completing immigration forms and continue drive on rough dirt road for a while to reach at Syabrubesi village, after a short refreshing break journey continues on winding uphill to reach at Dhunche town for overnight stop. 11 Day 11: Drive to Kathmandu and transfer to your hotels.Morning transfer into a vehicles either by car-coach or in tourist bus (as per the size of the group), for overland journey back to Kathmandu with scenic views of mountains, green scenery of hills and farm fields within nice villages and towns as drive brings you back at hustle and bustle city life of Kathmandu. On reaching Kathmandu transfer to your respective hotels with time for individual activities and shopping souvenirs. 12 Day 12: Depart for international flight home ward bound or to respective countries.Your last memorable day in Nepal after a wonderful Experience Tibet with great service of Explorer Adventure, and as per your international flight then transfer to Kathmandu international airport for homeward bound or to your respective destinations. Highest elevation: At Gyatsho-La 5,220 m high. People and Culture: Mostly Tibetans and small number of Chinese with Buddhist religions, culture and colorful age-old custom. Driving Hours: From minimum 4 to maximum 6 hrs. Season: April to November includes July and August monsoon wet period, as Tibet falls in rain-shadow areas with less rains.